Skye Gravestones | Kenneth & dolina (Macinnes) Nicolson. Kenneth & dolina (Macinnes) Nicolson. 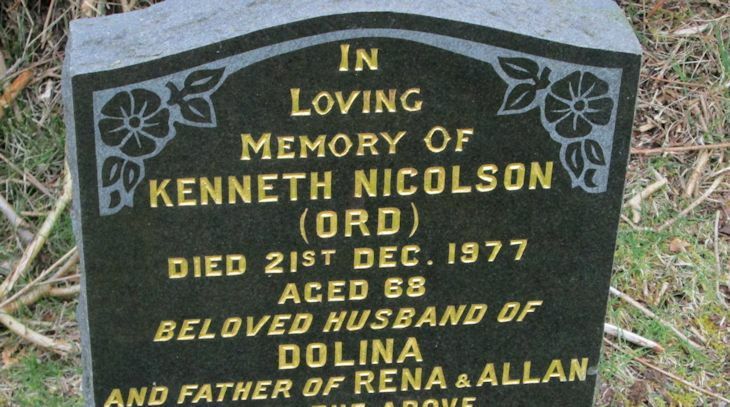 In/loving/memory of/KENNETH NICOLSON/(Ord)/died 21st Dec. 1977/aged 68/beloved husband of/DOLINA/and father of RENA & ALLAN/also the above/our dear mother/DOLINA MACINNES/died 13th Oct. 2001/aged 87.